Which ski resort is best for you - Morzine or St Jean d'Aulps? Everyone knows Morzine. It's one of the most popular ski resorts in Europe, and definitely the hottest spot in the Alps this year. It's an all year round resort with something for everyone, so it's not surprising its popularity is soaring. Chances are, if you're considering buying a ski property, you'll be looking at Morzine. St Jean d'Aulps, on the other hand, is less well known. Smaller, very traditional and quieter, it's nevertheless got access to fabulous skiing and could be a great choice. It all depends on your priorities. So, which is the best for you? Our "Head to Head" guide will help you decide. Let's begin with the all important question of property prices. It can be a deal maker, or a deal breaker. 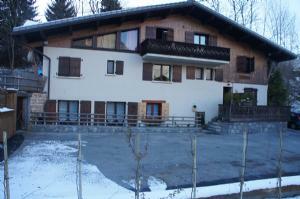 Morzine, as the larger and more popular resort is, not surprisingly, more expensive for property. It's the price you pay for all that year round entertainment, prime location and immediate access to the world's largest linked ski area, the Portes du Soleil. If it's Morzine you want, and many people do, then you'll have to bite the bullet and pay up. If the purse strings are a little tighter, though, St Jean d'Aulps might suit. You'll get more house (and often a garden too) for your money in St Jean, so if you're weighing up the odds, it's definitely worth considering. There's no doubt about it. Morzine wins hands down on investment and rental potential. Its increasing desirability means that not only does property in Morzine hold and increase its value well, there's no shortage of rental customers too. So, if you're looking to use your property only for one or two holidays a year and hope to rent it out the rest of the time, look to Morzine. Rental incomes are higher too. And, the all year round appeal of Morzine means that you are as likely to be able to rent out your property in summer as easily as in winter. As Wendy Bull, of Wendy's Houses (http://www.wendyshouses.com/) points out, there will always be great rental opportunities in a resort that sees 35,000 holidaymakers arrive in peak season. St Jean, it must be admitted, commands less rental income than its competitor. However, that's not to say that you can't enjoy a useful rental income from a property in the village. St Jean has its aficionados who return year after year for holidays. As long as the property isn't too remote, a good property will achieve a good rental value and is likely to prove popular with holiday makers who want the whole Alpine experience rather than being wholly focused on skiing. 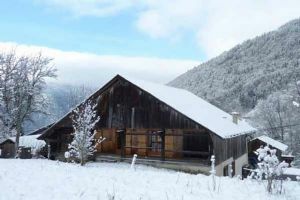 A rare opportunity to purchase this incredible large chalet in an elevated aspect above Morzine. It is currently laid out as five separate apartments, so could be very good rental income. 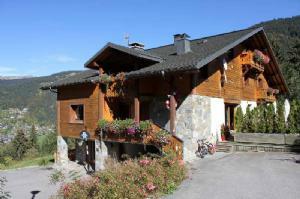 Exceptional panoramic views and very close to the ski slopes and the Fys chair lift. It may seem like a less than exciting topic, but accessibility is important. After all, no one wants to waste their precious holiday time undertaking difficult journeys to reach the resort! In this category, it appears that there is little to choose between our Head to Head resorts. Both are located within an hour of Geneva airport, and both have similar access to the A40 motorway. Driving time from Geneva is roughly 75 minutes to either resort. Geneva has flights from various locations around the UK, and is served by a choice of airlines including budget flyers easyJet. If skiing, skiing and more skiing is the driving force behind your hunt for a property in the Alps, then you can't beat Morzine. The Portes du Soleil is the largest linked ski area in the world, and Morzine has direct access. Ski in, ski out properties are widely available (if at a certain cost!) and the resort caters for all levels of abilities from beginner to expert. But, don't write off St Jean. It is indeed a ski resort as well as a traditional Savoyard village, and there is access to great skiing. The immediate ski area, La Grande Terche, offers about 40 kms of pistes. But to enjoy the more extensive facilities offered by the Portes du Soleil, you'll have to take a bus or drive to Morzine. Actually, that's no great hardship. The two resorts are only about ten minutes apart! Morzine is known as a great family resort, and it is. There's no arguing with that. There are facilities for all ages, entertainment to keep everyone happy, and ski schools, crèches and more. The only slight downside is that it's a very large and lively resort, so if you've got young kids and are seeking a more peaceful environment, you might prefer to base yourself in St Jean where things take a more leisurely and old fashioned pace. Families with teenagers, however, will probably find Morzine ideal. St Jean just (just!) pips Morzine to the post on this one. As you get more property for your cash in the village than you do in Morzine, chances are the living space will offer more room for kids to rumble around in. The fact that St Jean has a higher proportion of permanent residents and second home owners as opposed to holiday renters, also makes it a friendlier environment where families get to know each other and kids find friends. It really is an old fashioned Alpine community with a spirit to match. As one of France's premier resorts, Morzine does indeed have a lively and varied après ski scene. It just has to take top marks on this one, as not only does it cater for all ages and tastes when it comes to evening enjoyment, it offers lots of choice. You can party all night, or find a great restaurant to dine in style. It seems, however, a little churlish to award three whole points less to little St Jean. For some, the quiet charm of the friendly bars and restaurants in the village is more appealing than the nightlife in Morzine. It's all horses for courses, really. Pick your preferred style of après ski and try both resorts before you decide. St Jean can offer a calmer atmosphere, but Morzine is definitely a better choice for groups of older teens or young adults. Morzine, as the larger and more developed of the two contenders gets full marks once more in this category. There is pretty much nothing that can be done on an Alpine holiday that you can't do in Morzine. The resort is highly developed as a winter and summer resort, and there are literally hundreds of activities to enjoy in either season. In summer, for example, mountain biking is massively popular in Morzine. There's even an Olympic sized swimming pool offering a great way to gently exercise off those tired "after skiing" muscles. St Jean, smaller, less developed and with a different outlook, offers less organised activities. However, never forget that Morzine is only up the road, so you can still access anything that's on offer there! And, the lovely, calm setting is perfect for families to enjoy walks, picnics, nature trails and traditional cultural events that St Jean does so well. It's harder to find peace and quiet in a popular resort like Morzine than in little Saint Jean d'Aulps. It stands to reason, really. However, away from the centre of town there are peaceful corners, and properties set outside the town in the surrounding countryside can be calmer and more secluded. Saint Jean d'Aulps is, of course, far more tranquil than Morzine. With a more residential feel then its resort-orientated sister, it scores more highly in this category. Again, the result is a foregone conclusion really. Morzine has retained plenty of original charm and avoided becoming a soulless concrete jungle like some large resorts, but its sheer size and fluctuating numbers of holiday makers do give a less traditional feel. If you love traditional chalets and an authentic atmosphere, head for Morzine's Vallée de la Manche. The scenery around Morzine is simply stunning in any season, and from the south side of the resort you can enjoy amazing views of the pistes - ideal for watching the action! If it's a really authentic, picturesque Alpine village that appeals though, it has to be Saint Jean d'Aulps. The heritage includes a 13th century Abbey, old Savoyard farms and homes and a very traditional culture. The setting is idyllic, calm and unspoiled by development. Relaxation becomes second nature in Saint Jean d'Aulps. Morzine is very focused on being a brilliant Alpine resort. This means that it has an ever changing population, as holidaymakers come and go, and as winter ski tourists change to summer hikers, mountain bikers and climbers. Saint Jean tends to be a better choice than Morzine for full-time living. It is far more of a residential village than a ski resort. 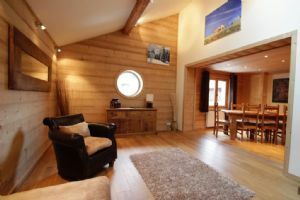 Even the properties that are not used all year round tend to be second homes rather than rented out for week or two week periods as in Morzine. St Jean is very much a community, where people know each other, hold local meetings and arrange village events. The shops and bars stay open all year round too. So, there we have it. When we look at the point total there is a clear winner: Morzine. Now you might say that's hardly surprising given its size and reputation as a premier resort. But the figures don't tell the whole story! If you look at who won what... St Jean won 5 out of the 10 categories, one was a draw and Morzine won 4. So you could argue that St Jean is a better all-round resort with Morzine a better match for the those who want the very best skiing and apres ski. Clearly they're both great destinations for your ski property - and the ultimate decision is all yours! NB: With thanks to Sophie Justice, of Call Home Immobilier and Wendy Bull of Wendy's Houses for their expert input to this article. Both have vast personal and professional experience of the two resorts, and of the current property market.